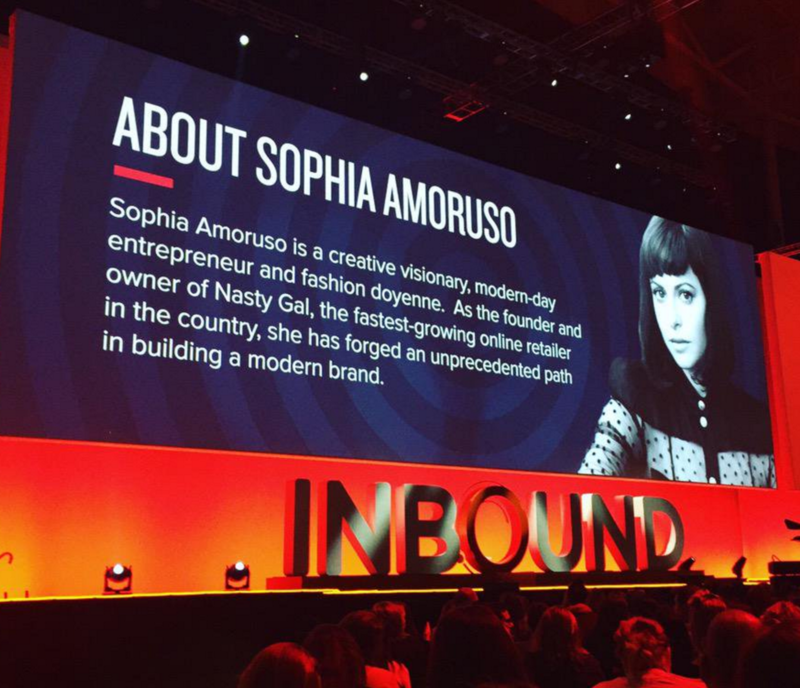 Based on popular vote (or my assumption from overhearing dozens of attendees), Sophia Amoruso officially takes the cake for most genuinely personable, humble, and real keynote speaker at Inbound 2015. Seen as a cool older sister to aspiring female entrepreneurs around the world, NastyGal’s Founder and CEO exudes a refreshing balance of confidence and humility. Taking time to thoughtfully answer audience questions – and never missing an opportunity to laugh at herself – the self-made #GIRLBOSS struck the audience in Boston as a high-powered business mentor who you’d more likely find at a local dive than a swanky waitlisted venue. Check out some of her best quotes from today and bask in the glow of her realness. Before she created her company, Sophia Amoruso was so broke she often went dumpster-diving. Sophia started NastyGal on eBay with only a camera, internet access, and a passion for vintage clothing. NastyGal’s success was derived from personalizing every interaction from day one. She spent a lot of time friending customers on Myspace to profile her audience and promote her eBay store. All of her experience was from on-the-job learning, not formal training or education. She learned consistent self-care was important even when working at home, especially with the temptation of being able to wear her “sad bunny” bathrobe all day every day. As an introvert working from home, Sophia Amoruso used the power of the internet to become visible and pursue working with her heroes and business mentors. Some of her proudest moments include promoting employees and watching employees leave her company to do something better, knowing that she was part of their upward trajectory. She focuses on great content and doesn’t believe in social experts, because social media changes rapidly. To ensure consistent branding, she opts to choose people already engrained in the company’s ethos and operations, then grow them into social roles. 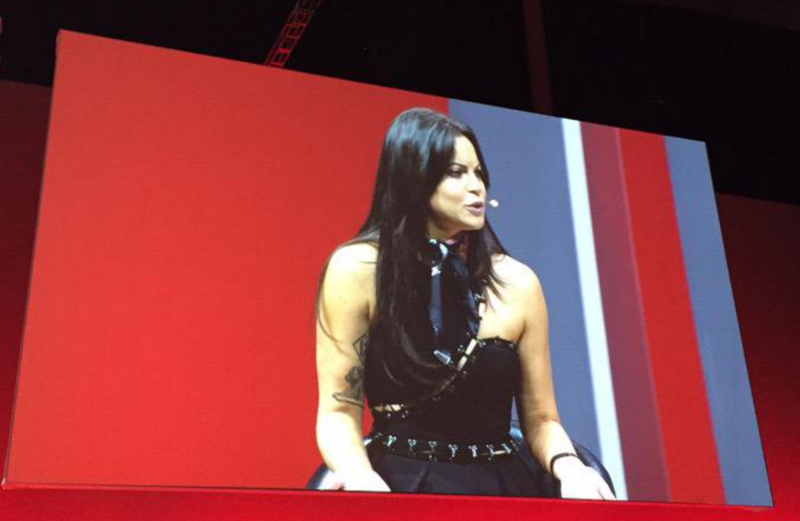 When hiring, Sophia Amoruso focuses on getting to know “the human within” the person she’s interviewing. One of her poodles is named after Donna Summer. She wrote #GIRLBOSS to engage more women in creating a vision that makes them excited to get up in the morning. Customer feedback was so important to NastyGal’s growth that it prompted the online retail store to create a brick-and-mortar space. She hosts a #GIRLBOSS radio station on iTunes. Twice a year, the #GIRLBOSS Foundation grants $15,000 to female business owners pursuing creative endeavors. Inspired entrepreneurs can apply for a grant here. Leave a comment and let me know what your favorite quote was and why it stood out to you! Cheers, pal. I appreciate the quotes.